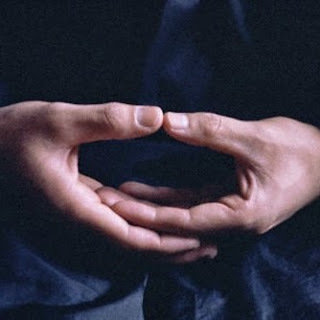 Saturday Zen Service, Apr 4: 10:00am - 11:45am. This week's case: Gateless Gate #17, "The National Teacher's Three Calls"
The national teacher called his attendant three times, and three times his attendant responded. The national teacher called three times and his tongue dropped to the ground. The attendant responded three times, emitting the answer with light. The national teacher was old and lonely. He held the cow's head and forced it to eat grass. The attendant would have none of it; delicious food has little attraction for a man who has had enough to eat. Just tell me, where are they standing alone with their backs to each other? When the country is prosperous, persons of talent are esteemed; children of rich families are proud to eat plain food. "National teacher" was the title given to the emperor's teacher. A number of Zen monks have had the title, but the most renowned -- the one referred to in this case -- was Nanyang Huizhong (675-775, "Echu" in Japanese), teacher to the Tang emperors Suzong (reigned 756-762) and Daizong (reigned 762-779). Huizhong was a 7th-generation Zen master, one of the five disciples of Huineng (638-713). "I was about to say that I was ungrateful to you. But the fact is that you are ungrateful to me" (Aitken). "I had thought I was disappointing you. Actually it is you who are disappointing me" (Cleary). "I have always been afraid I was letting you down, but in fact it was you who were letting me down" (Low). "I long feared that I was betraying you, but really it was you who were betraying me" (Sekida). "I guess I ought to apologize to you, but really you should apologize to me" (Senzaki). "I thought I had transgressed against you, but you too had transgressed against me" (Shibayama).